Bathrooms can be the most dangerous place in our homes regardless of whether a user has a disability or not. Bathrooms also present some of the greatest challenges in the home in terms of access and function for those who are dependent on mobility devices. 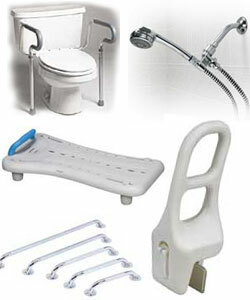 This section of our web site presents information on several different types of equipment that will provide safety in the bathroom and make some more independent.